Without a doubt, HBO is the highest-quality TV network in the world. Not only is it packed with the best shows in TV history, but it was also the first major cable network to embrace the idea of streaming its own content. If you have HBO as part of your cable TV package, you can watch everything online with HBO GO—but these days, you don’t need cable TV to watch HBO thanks to the advent of HBO NOW HBO NOW vs. HBO GO: What Are the Key Differences? HBO NOW vs. HBO GO: What Are the Key Differences? If you're confused between HBO NOW and HBO GO, then this quick comparison will show you which one is more relevant to you. Read More . For $15 per month, you can grab a standalone HBO NOW subscription and drop cable TV for good. Does that price sound steep? Trust me, it isn’t! While HBO has 75+ original TV series in its library, the following shows are so good that they alone can justify the cost. This miniseries is the incredible tale of “Easy” Company’s training and involvement throughout Europe during World War II. Obviously some parts were adapted for structure and dramatic effect, but it is based on historic people, events, and accounts. How good is Band of Brothers? Not only does it sit atop IMDb’s Top Rated TV Shows list, but it’s been there for many years. You may not enjoy it if you specifically hate war stories, but otherwise this will likely be the best show you’ll ever watch. Game of Thrones needs no introduction. Even if you’ve never seen it before, you’ve undoubtedly heard about it. This show is everywhere and it’s hard to get away from it. Why is it so good? Because it’s all about the characters. The plots are dark, the twists are heart-wrenching, but most of all, Game of Thrones offers some of the most sprawling and engaging stories of all time, and that’s really all that matters. The fantasy underpinnings are just icing on the cake. The Wire is a police drama unlike any other police drama in television history. It takes place in the city of Baltimore and follows a massive cast of characters that are so fleshed out that it can feel more like a documentary than a drama at times. Each season offers a study of the various institutions of Baltimore—police, dockworkers, politicians, schools, the media—and shows how the problems of the city are intertwined, systemic, and impossible to fix even with good intentions. For its sheer amount of dramatic depth and breadth, The Wire is my favorite TV show of all time. 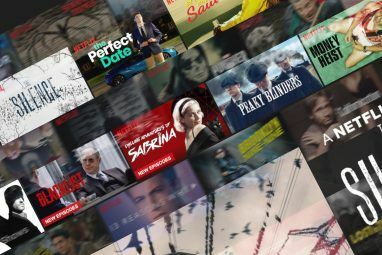 You can also watch it on Amazon Prime Video 10+ TV Shows That Make Amazon Prime Worth the Money 10+ TV Shows That Make Amazon Prime Worth the Money Netflix is undoubtedly the king of the movie and TV show streaming services. However, Amazon Prime has some fantastic television shows that make it worth the asking price. Read More . The Sopranos follows an Italian mobster and his family in New Jersey, depicting the difficulties of balancing his life at home with his life as a criminal mastermind. Bridging the gap are his sessions with his therapist. Many laud The Sopranos as the greatest TV show of all time. Not for me, but I can appreciate the show for how it impacted the landscape and future of drama TV with its quality of writing, acting, directing, and serialization. It was, in a word, groundbreaking. The first season of True Detective is some of the best television in the past decade. Over the course of eight episodes, you’re treated to a dark and mysterious investigation that twists and turns at all the right moments. The second season is a completely different story with different characters and a different plot. Many critics felt that it was weaker on the whole, but still solid enough to be worth watching. Westworld is a fictional amusement park for the rich, where lifelike robots play out Wild West scenarios for visitors to take part in. These robots are equipped with next-level artificial intelligence, and they’re on the brink of developing true consciousness. This incredible show is an expertly crafted crossover of genres: drama, science fiction, mystery, suspense, thriller, romance, and more. Not many series can claim to be an experience for viewers, but Westworld certainly can. From the very first minute, you can sense that there’s something special about it. In many ways, Rome could be seen as the precursor to Game of Thrones. Not that they’re related in any way, but Rome pioneered a lot of the narrative aspects that people love about Game of Thrones: ensemble casts, political intrigue, and a “distant past” fantastical setting. Don’t go into this show looking for historical accuracy, though there is a good bit of that. Rather, look at it as a rich exploration of Rome’s fall and the complex characters that lived and died during that time. In addition to being awkwardly hilarious, it maintains a consistent quality over the course of its eight seasons. Is it a binge-worthy show? Probably not for most. But taken in small doses, Curb Your Enthusiasm can be, and often is, laugh-out-loud funny. Deadwood is a late-1800s period piece that takes place in the American Midwest and incorporates a lot of mythical figures like Wild Bill Hickok and Calamity Jane, but never depicts them as caricatures or legendary. These are real people in Deadwood. That said, it is the kind of show that falls into the “love it or hate it” category. The acting is some of the best you’ll ever see, but it’s not an easy show to watch. It’s grim, it’s dark, and while it can be hilarious at times, it’s serious. Silicon Valley is about six young guys who make a technological breakthrough in file compression and decide to start a new company around it. What follows is a somewhat absurd-yet-strangely realistic look at the modern culture of Silicon Valley. Obviously it’s not entirely true to life as the writers do take creative liberties for the sake of drama and comedy, but on the whole it’s rather insightful. And yes, it’s funny! Oh, so funny. This miniseries follows the story of a Muslim college student who ends up accused of murdering an acquaintance in New York City. The premise may sound rather run-of-the-mill, but The Night Of is one of the most suspenseful shows you’ll ever watch. What’s to love about this show? Many things, but its commitment to realism is something that’s rare in modern television. It’s realistic, but not in a way that distracts or detracts from the drama of it all. Rather, it amplifies the stakes and makes the story that much more meaningful. Boardwalk Empire is a period piece set in the 1920s to 1930s that takes place in Atlantic City and focuses on a historical criminal mastermind, and his gang, that lived during those times. The show experienced a dip in quality around the third and fourth seasons, but overall it’s pretty good—if you like slow-burning plots. While the characters and dialogue are engaging, Boardwalk Empire’s greatest strength is its visual aesthetic. “Beautiful” doesn’t quite cut it. After the success of Band of Brothers, HBO went ahead and produced another miniseries that’s essentially a spiritual successor but not a direct continuation. Called The Pacific, it follows a different region and different characters during World War II. Most critics agree that Band of Brothers remains the superior work, but The Pacific is still a fantastic series in its own right. If you enjoy war stories and you’re itching for something similar to Band of Brothers, you’ll probably like this show. Imagine you wake up one day and two percent of the world’s population has mysteriously vanished—and you weren’t one of them. What would you do? How would you feel? Your life would never be the same. The Leftovers is a polarizing show. It’s a slow-burning story that’s heavily character driven but also philosophical and even a bit depressing. It’s extremely ambitious, it doesn’t always achieve what it strives to do, but it’s willing to go where no other show has gone before. I recommend powering through the first season because the second and third seasons contain some of the best TV episodes of all time. The series also ends with an incredibly emotional and satisfying finale. Veep is political satire. You can think of it as similar in premise to Parks and Recreation, but with all the heartwarming bits replaced with an overwhelming combination of incompetence and cynicism. Yes, Veep is funny, but it’s funny in a way that’s more “cable TV funny” than “network TV funny,” which explains why it’s on HBO. It may not be your brand of humor, but you may be surprised by how much you like it anyway. 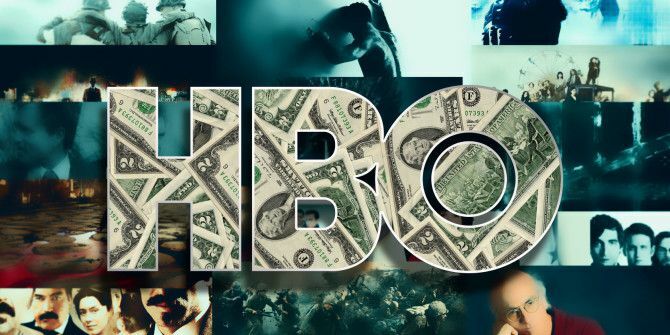 Is HBO NOW Worth It to You? At $15 per month, HBO NOW is honestly a bargain—especially if you don’t have cable TV. 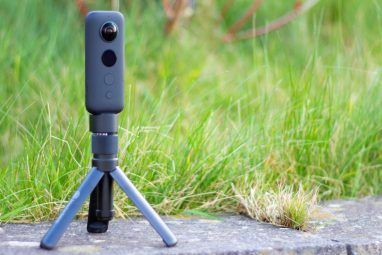 And the best part is that you can start streaming shows as soon as they start airing live on TV, meaning you can stay caught up on shows like Game of Thrones and not have to worry about spoilers the next day. If nothing else, you can subscribe to HBO NOW while a specific show is airing (e.g. Westworld during the summer), then unsubscribe when it finishes, meaning you only need to pay for a few months every year. Start watching today and subscribe to HBO NOW. Note that in addition to all of these TV series, HBO NOW grants you full access to the entire HBO library, including hundreds of classic and modern movies. 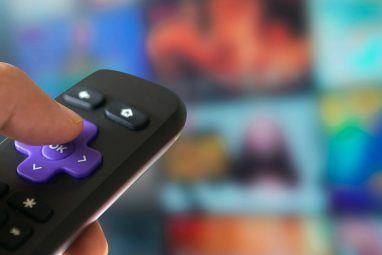 If you’ve been hesitant to cut the cord, this may help you pull the trigger on dropping cable TV and streaming instead Should You Cut the Cord or Keep Your Cable TV? Should You Cut the Cord or Keep Your Cable TV? If you're still holding on to your cable subscription, but are debating if its time to make a change, we're here to help. This guide should help you make your mind up. Read More . Explore more about: Cord Cutting, Media Streaming, Television, TV Recommendations.